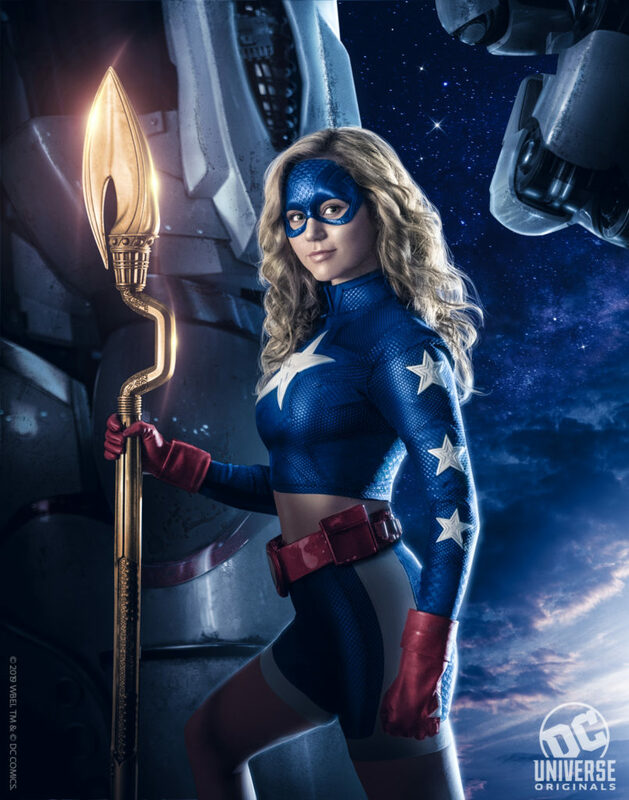 DC Universe has released a first look photo of Brec Bassinger as Stargirl for DC Universe. A highlight of today’s DC Universe panel at the WonderCon convention in Anaheim, California is a first-look photo at Brec Bassinger (The Goldbergs, Bella and the Bulldogs, School of Rock) in costume as Courtney Whitmore a.k.a. Stargirl from their upcoming original live action series Stargirl. The costume looks quite cool, though it also comes with news that we won’t get to see the show until early 2020 on the DC Universe digital subscription service. The series also stars Luke Wilson as Pat Dugan and is executive produced by Courtney’s comic book creator Geoff Johns. This costume is also notable in that it was designed by the renowned Laura Jean Shannon whose other work include Titans, Doom Patrol, Black Lightning and Jumanji. Also announced today: the DC Universe original series Swamp Thing got a premiere date. Find that news at SwampThingTV.